O'Donnellan & Joyce is offering for sale this magnificent three bedroom semidetached family residence with converted attic room located on Bothar Stiofáin, Galway. Cloch Ard is a beautiful residential estate which was constructed in the early 2000s. The development has all that one would require in terms of modern day family living, overlooking large green areas with mature trees, lawns, and shrubs. 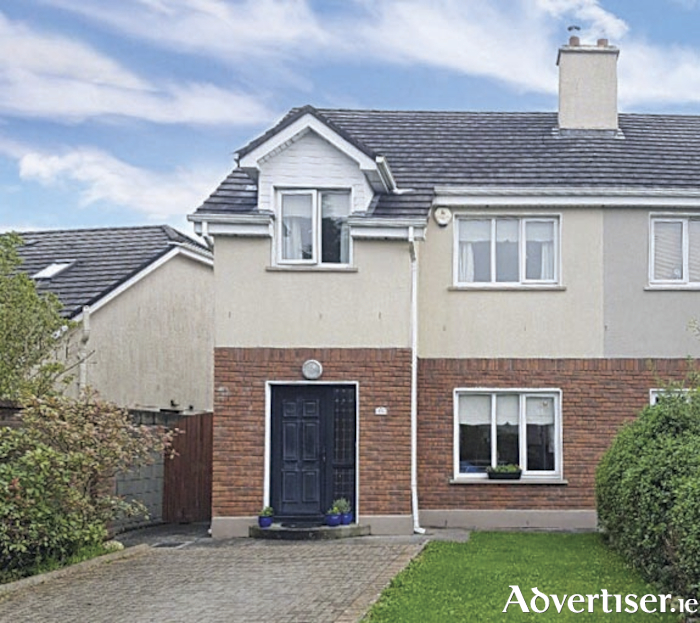 This property is ideally located within a three minute walk of the new state of the art Gaelscoil Mhic Ahmlaigh and the Gateway Retail Park which contains Dunnes Stores, Aldi, B&Q, Next, and New Look. The property is also within walking distance of the Knocknacarra National School and Colaiste na Coiribe secondary school. It is also conveniently located close to the Clybaun Hotel and just moments from Sheridans Bar & Restaurant and Joyce’s supermarket, and just a short drive from Salthill Promenade, Silverstrand beach, Barna village, and Galway city centre, with NUIG and UHG just 10 minutes away. No 15 Cloch Ard is presented in superb condition with careful attention to detail and decor throughout. The current owners have spared no expense in creating a wonderful family home. The property also has the benefit of an attic conversion with full staircase which would be ideal as a fourth bedroom, office, or playroom, subject to the relevant planning. Accommodation includes an entrance hallway with wooden flooring, a lounge with feature open fireplace, and an open plan kitchen and dining room overlooking the rear garden. A separate utility room and a downstairs guest toilet completes the accommodation on the ground floor. Upstairs is the main family bathroom, and three fine sized bedrooms with the master bedroom en suite. The property also offers the benefit of an attic conversion and access to the attic is via a solid timber staircase. Outside the property overlooks a large green area to the front and offers a large paved driveway with ample parking for multiple cars and a gated side entrance. The private rear garden has a wonderful sunny east facing aspect with mature planting, a lawn, and a timber shed that is insulated and wired for electricity. This property would ideally suit an owner occupier or investor due to its convenient location within minutes of a host of local schools and sporting facilities and on an excellent road and bus network. Viewing is highly recommended and guaranteed not to disappoint. The BER is C3. Asking price is €285,000.